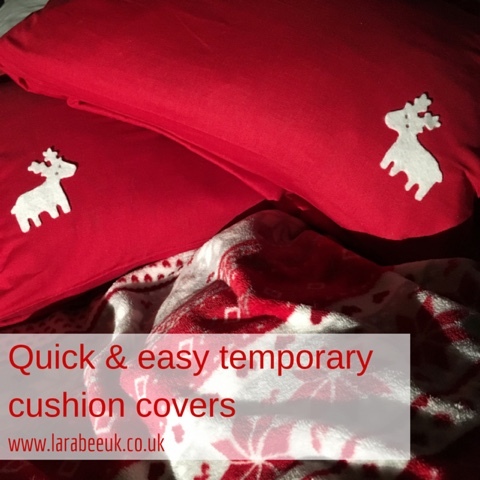 I wanted to give our bedroom a bit of a chrissmasy feel this year and so I purchased a few items to update it, I have a blog post coming which will give more details about the ful makeover, but for now I thought I'd show you this simple way to update some existing cushions, cheaply and easily. Also if you are short on space like I am you don't have to find somewhere to store your 'usual' cushions whilst the Christmas ones are out! 1. 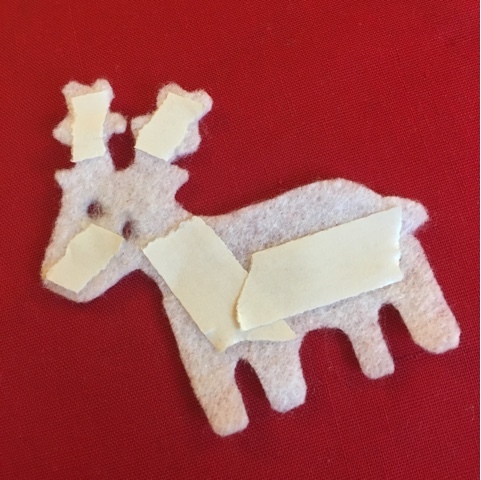 Use the stencil to cut out the desired shape from the felt. 2. 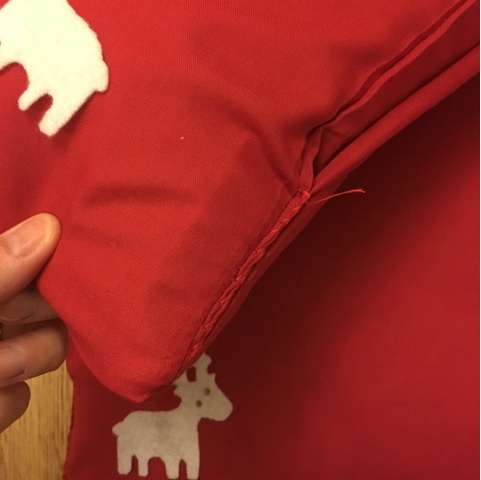 Add double sided tape to the reverse of the felt shape and stick in place. 3. 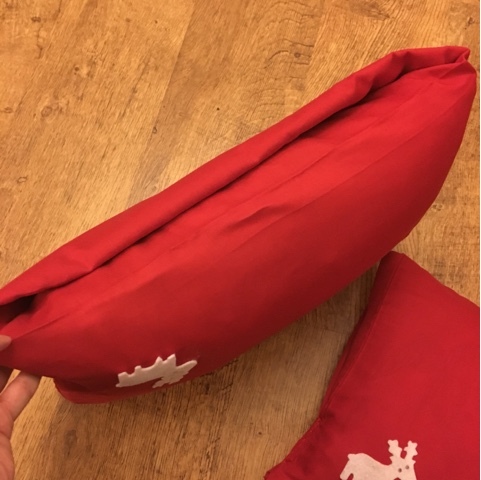 Fold the pillowcase around the cusion, obviously this will change depending on the size and shape of the cushion you use. 4. Stitch along the edges of the cushion, I only sewed about 1/4 of the way up, but you could go right around all sides to make it neater. If these were in our living room is have been a bit neater and particular but this is fine for the bedroom. 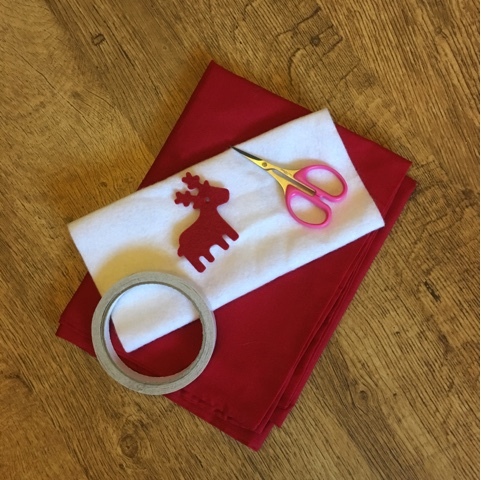 Use a nice big stitch so it's easy to run scissors through and un-do the stitches after you've finished with them. Obviously, the double sided appliqué won't hold a lot of handling so this really is just for decoration and of course they cannot be washed! I hope you've liked this simple little project, I can't wait to share the rest of the room with you!